These guys came over from Houston to fish Big Lake this weekend and enjoyed the great spring weather and Miguel’s Fajitas were the best I’ve ever had. The fishing was a challange after the big storm we had Thursday. It dropped the salinity from 23ppt to 7 ppt and we had to work hard to put fish in the boat but these guys were up to the challange. Berkley Gulp was the bait of choice and outfished live finger mullet this weekend. Fishing is springing to life. I went on a scouting mission and after a few hours caught 9 Trout 2# or better 7 Reds 3 to 5#’s and 3 nice Flounder and the fishing will only get better as the water warms and the salinity continues to improve. Call me to get in on some great springtime action at 318-938-7074 or come see me at The Houston Fishing Show March 5 to9 at the Brown Convention Center, Booth #442. 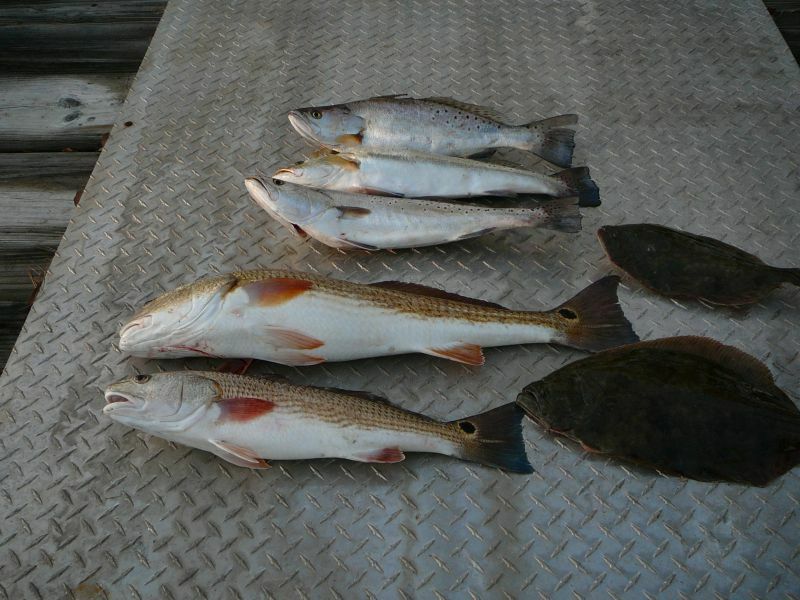 I fished Thursday, Friday, & Saturday and caught some nice Reds up to 7#s and several Flounder 1 to 2#s. The Trout are scarce right now but the bait is starting to show up on the flats and reefs and the trout won’t be far behind. The Rain & the wind has kept the lake pretty muddy and looks like the rainy, windy weather will continue this week. Next week I have several trips and will be posting more soon. 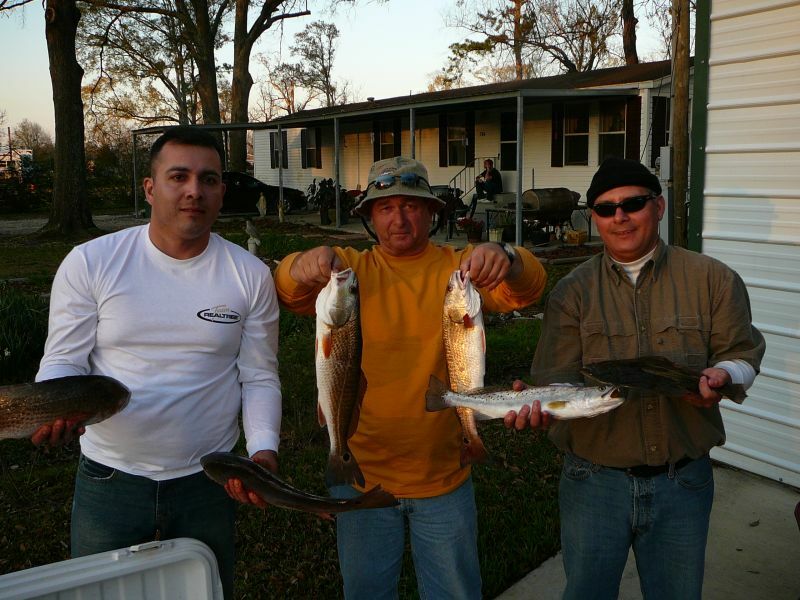 I’ m still holding my boatshow special of $450/ for 3 guests and FREE Lodging and I will be at The Fishing Expo, at the Brown Convention Center in Houston March 5 to 9. Booth #442 , Hope to see you there.